ESPN International has reached a broad multimedia rights agreement to televise Italy’s Serie A TIM, one of the world’s leading soccer leagues, throughout Spanish-speaking Latin America and the Caribbean, effective 2018/19 through 2020/2021. Under the agreement, ESPN will carry all Serie A matches – a total of 380 each season. Over 200 matches per season will air live on ESPN linear networks, including ESPN, ESPN 2, ESPN 3, ESPN Caribbean and ESPN 2 Caribbean. ESPN Play, ESPN’s multiscreen live and on-demand broadband service, will also stream all matches live. 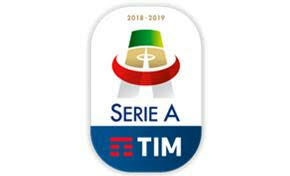 Coverage of Serie A will feature year-round news and highlights content across ESPN platforms, including exclusive weekly preview and highlight shows. ESPN’s coverage of the 2018-19 Serie A in Latin America and the Caribbean continues this weekend with 10 matches across ESPN networks. Cristiano Ronaldo, five-time Ballon d’Or Award winner, made his league debut this season for Juventus, winners of seven straight Serie A titles. He has scored or assisted in 11 of 13 matches this season (9 goals, 5 assists), the most for any player. Juventus defeated Spal 2-0 this past weekend and is currently leading, with an 8-point advantage over Napoli. Serie A teams have won 12 European Cup (Champions League) titles – tied for second with England, behind Spain’s 18. Italian teams have played in 28 Champions League finals, behind only Spanish teams (29) for most appearances in European Cup finals. Six Serie A players scored at least 25 goals per season over the last three years, more than any other top-five European league – Lazio’s Ciro Immobile (29) and Inter Milan’s Mauro Icardi (29) in 2017-18 season; AS Roma’s Edin Dzeko (29), S.S.C. Napoli Dries Mertens (28) and Torino’s Andrea Belotti (26) in 2016-17; S.S.C.’s Napoli Gonzalo Higuaín (36) in 2015-16. Italy’s Serie A has had at least one Champions League semifinalist in three of the last four seasons. The other two leagues with at least that many appearances in that span are Germany and Spain. Serie A has an average of 2.72 total goals per game, just below La Liga’s 2.75 among top-five European leagues.